Hey I have a question about designer items and figure this is a better place to come than anywhere else. 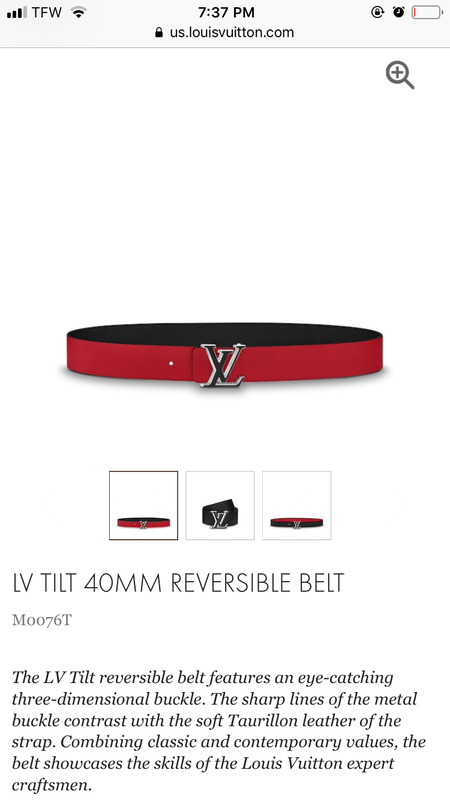 I like designer belts and collect them for my own amusement just because, now I was thinking about getting a new LV because the canvas one is have now isn’t in great condition and the other ones I have are fine but I have a special love for Louis Vuitton. How does pic related look to you? And how does someone wearing stuff like that make you feel? that just looks dumb and autistic. wear a plain looking belt, for fucks sake. >And how does someone wearing stuff like that make you feel? I like designer things for the most part but I never found belts to be cool (for myself/on myself). Buy a reverso 40mm, look, this one has tramp stamp. If you're black I'd think it's real but you used benefits money or drug sales profit to " flex your drug game"
If you're middle eastern I'd think you're just some rich kid trying to be a rapper in America ...or I'd think it's fake depending on how Saudi you look.